I got some tungsten weights to convert some of my standard buffers to H2s. I imagine this is a dumb question but I have never done this before. Usually just buy new buffers but I have too many buffers laying around. Thought I would give it a try. Does it matter what order you stack the weights? I am making H2 buffers so one steel and two tungsten. Do the two tungsten have to be together on the back end to help the dead blow effect as the bolt closes or something? Put the tungsten/s to the rear near the rubber cap. 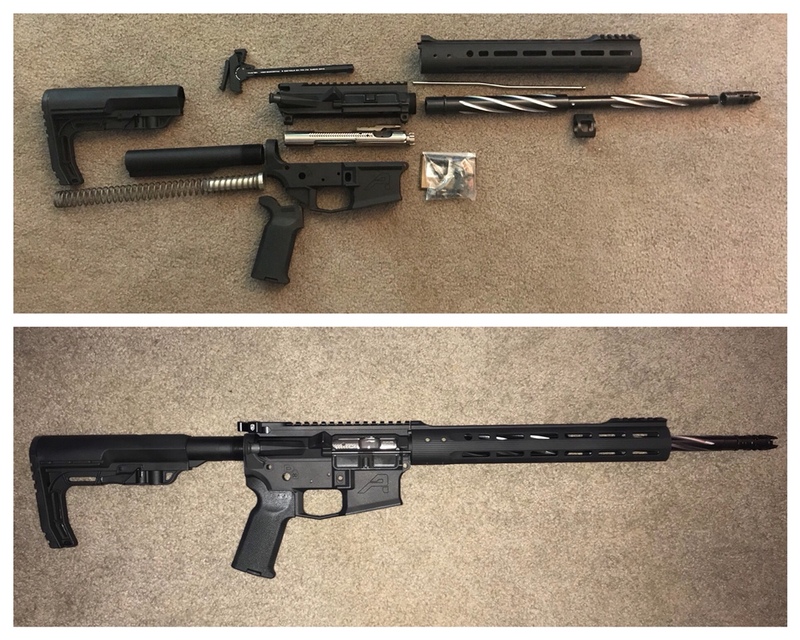 My first AR15 build. I’m putting together my parts list and would like your input. If you usse BCA you should have headspace checked. I see them often for short Headspace issues. I would avoid the NiB BCG. I see lots of problems with the coating. Phoapate and chrome lined is better. Toolcraft Phosphate BCG can be acquired for $80 and rarely fail my Gauging. Thanks for your input. I found the Toolcraft BCG Phosphate at a few places. You could always build a pistol with a SBA3 Brace and a 10.5" barrel to cut weight down. Otherwise I like Criterion barrels. Here is a HBAR middy. If you want some help assembling it, let me know, due to being local to you and having the tools. Thank you for the offer. I will, gladly, welcome any assistance. Particularly with the barrel and gas block. The build is probably 4 to 6 weeks out, based on some of the vendors shipping estimate. Whenever it all gets in, send me a PM and we'll figure out a day to put it together. Waiting on one part to show up. Last minute, I decided to order the Larue Tactical MBT-2S, instead of the Geissele G2S. It’s on back order. Larue is expecting to fill the back orders in about 7 to 10 more days. I opened all the parts and hand fit.